I just love figs! It is one of my absolute favourite fruits. Two of my fellow food bloggers recently posted recipes that featured figs as the main ingredient so naturally I just had to get my hands on something figgy! After eating a punnet or two at a price that I could not really afford, I started thinking about my blog. Realising the main reason I bought figs in the first place was to create something decadent that I could blog about! The only problem was that I could not think of anything fabulous to make. 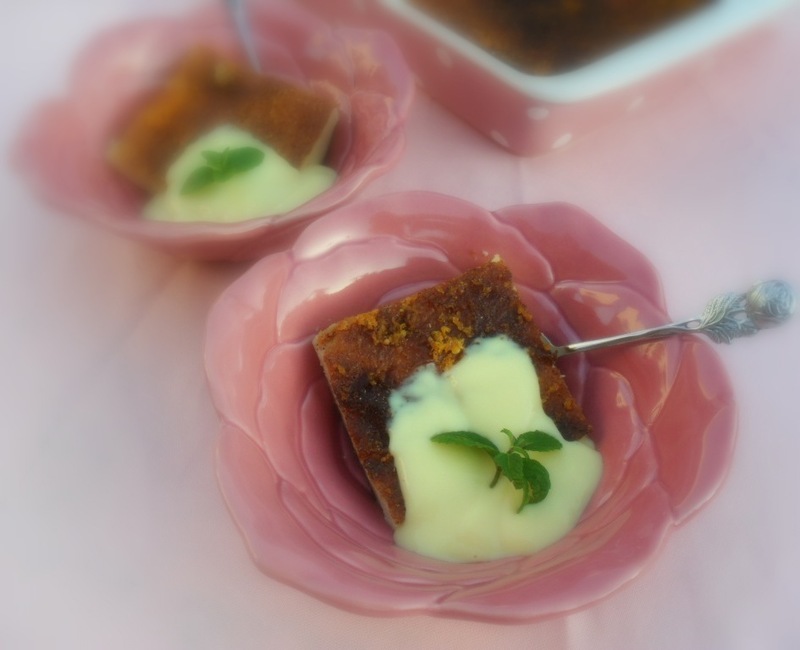 Although figs are well suited to be used in savoury recipes, I wanted to create something sweet; a pudding or maybe a cake. But the inspiration just did not come. I started looking through my recipe books and soon explored my mom’s old food scrapbooks. 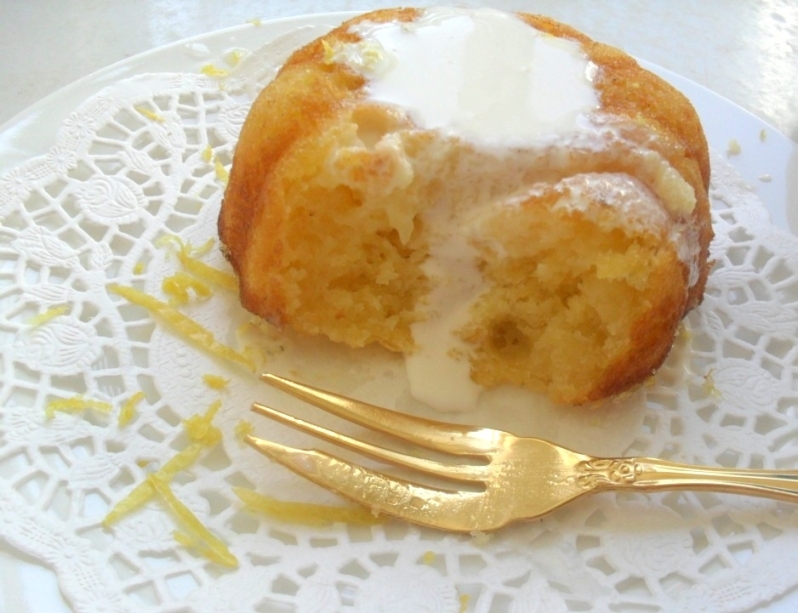 Although I never did find any fig-spiration, I came across this recipe for a lemon cake pudding! Immediately I was annoyed because what is it; a cake or a pudding? Who knows? But I do remember my mother used to make something similar. She served it hot so I’m guessing she considered it a pudding – that seems like a good standard to judge whether something’s a pudding or cake, yes? 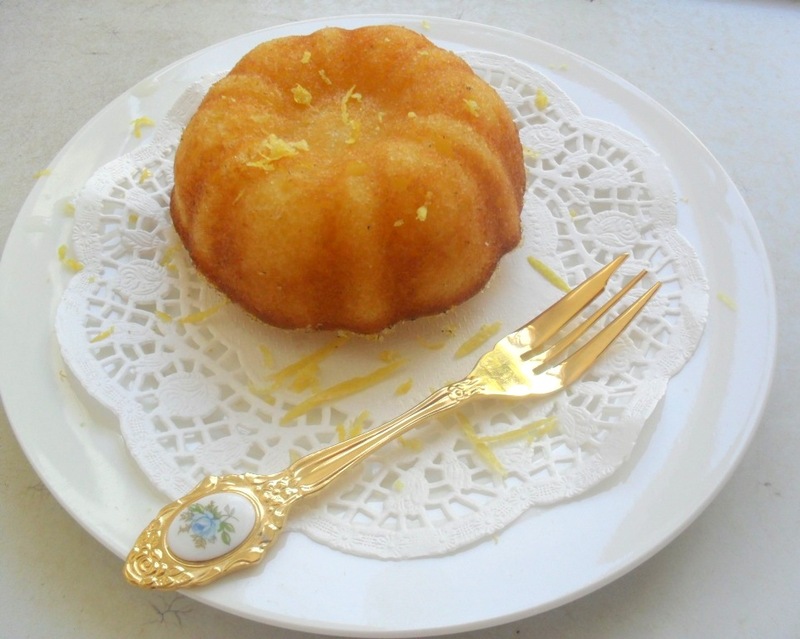 Anyway, I decided to make this lemon cake into individual small cakes. 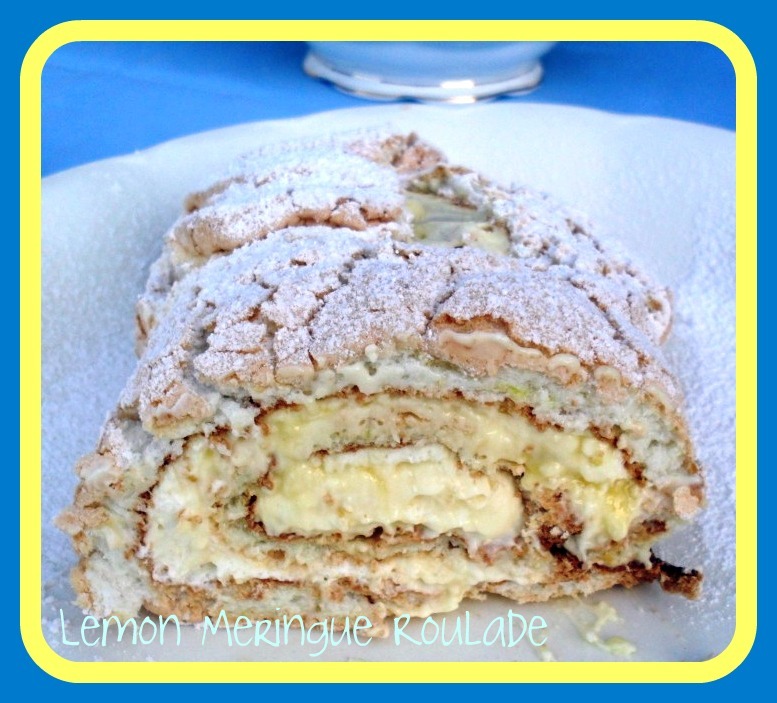 I served it with cream, but I think Crème fraîche will be the perfect accompaniment to this dessert. The sourness of this dessert provides a perfect ending to a rich meal. So I did not make any figgy thingy, and the figs have all be eaten, but watch out – I might just place a delicious fig creation, soon! Grease six baby cake tins or a 6-hole muffin pan with butter or spray with a non-stick cooking spray. Add eggs, one by one, beating after each addition. Sift the self raising flour into the butter mixture, Add the lemon rind and buttermilk and stir until just combined, taking care not to over mix the dough. Spoon the mixture into the prepared pans and bake in the pre-heated oven for approximately 20 minutes. 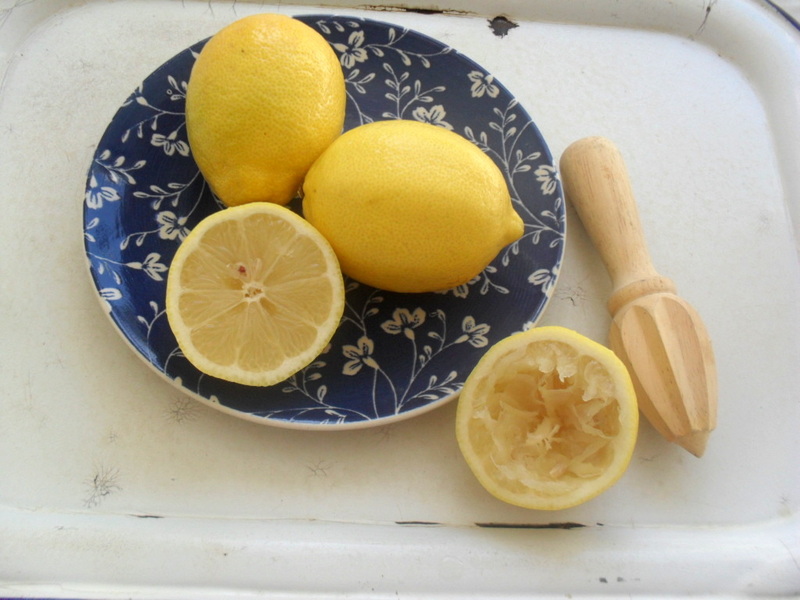 In the mean time place the lemon juice, caster sugar, water and 5ml of the grated rind into a saucepan. Heat over low heat and stir until the sugar is dissolved and remove from the heat. Let the cakes stand for a couple of minutes, when removed from the oven. Move onto a cooling rack and pour the hot syrup evenly over the cakes. 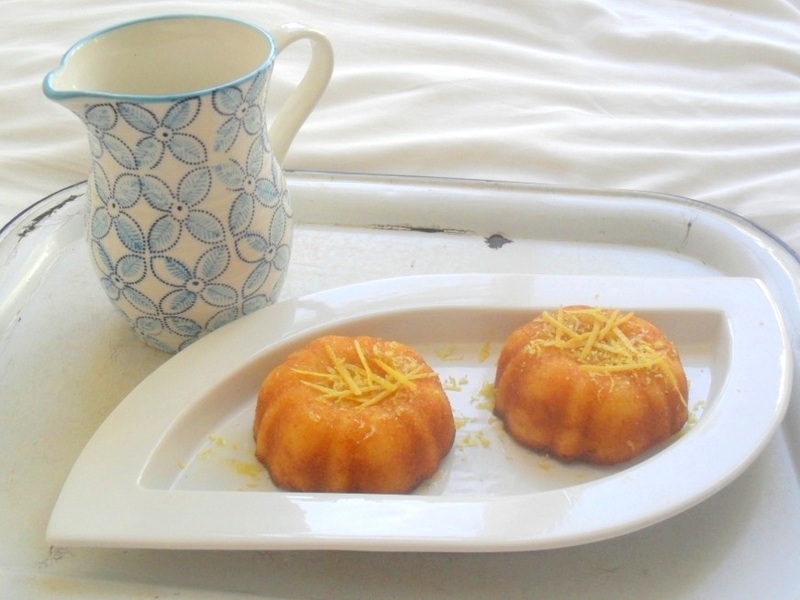 The cakes can be served hot or cold, as is, or with cream or crème fraîche. 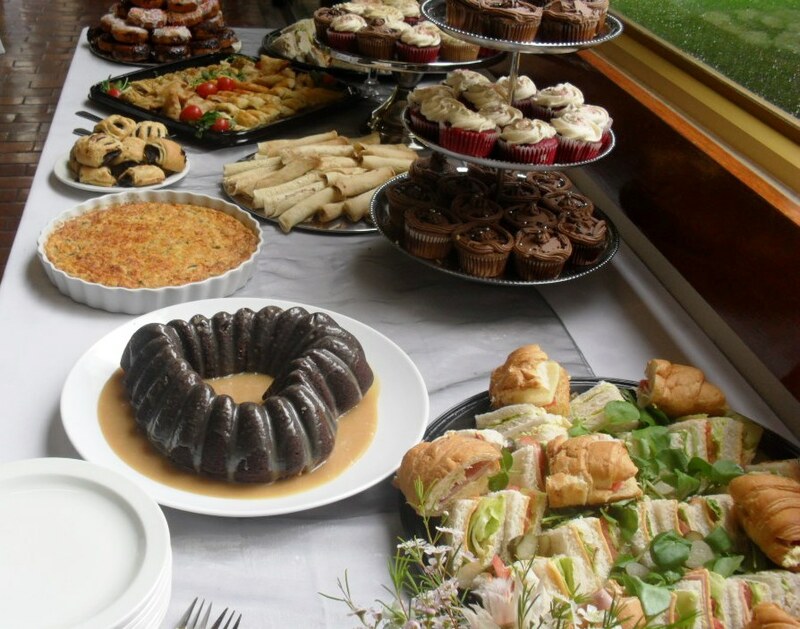 I’d miss my sugar rush at the end of the meal! 🙂 Nice seeing you, Col! The same with me, Tandy!! Lovely to see you on my blog, Barbara! So what do you call hot puddings? Dessert? Methinks another yummy concoction is overdue … two weeks? It is shocking how expensive figs are. We have never baked anything with figs so I cannot suggest any sweet bakes. I had a shop bought pizza with figs and feta cheese once but although it was different I can’t say that I was inspired to order it again. I agree, figs are extremely expensive! Lemons are much more affordable, though!